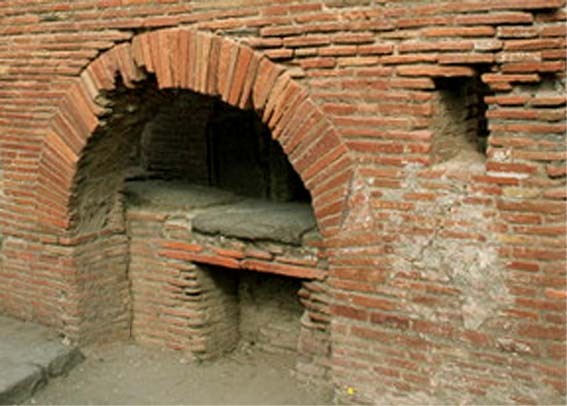 Brick or clay bread ovens have been used since ancient Egyptian times. They were extensively used throughout the Roman Empire and a fine example can be seen preserved in the bakery at Pompeii. 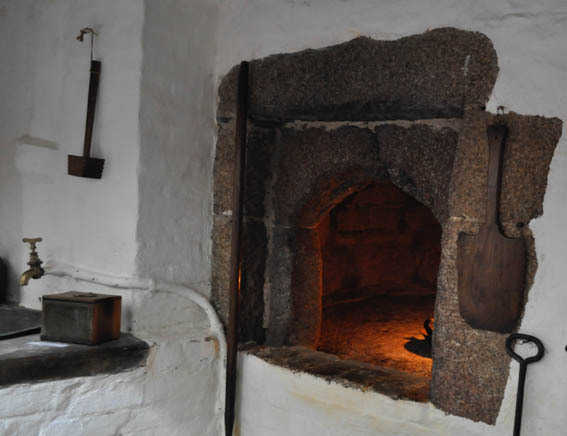 These ovens were used throughout medieval times and well into the 17th century in various forms. Some are still used today. The basic principle is simple. 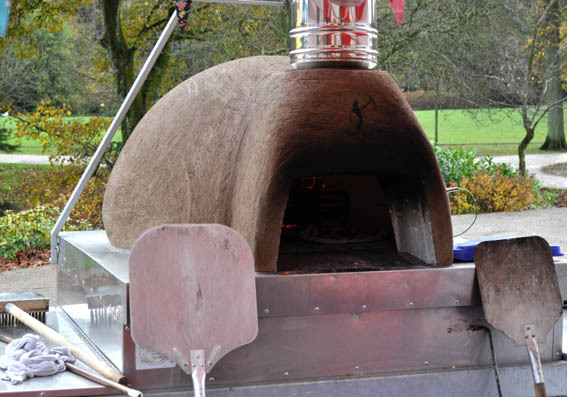 The oven is a domed structure with a smooth floor and an opening at the front which can be sealed with a door. The oven is fired inside using wooden sticks or scrub faggots (tightly bound twigs) for about 2 hours. The fire is then scraped out, the oven floor scraped clean and the risen bread dough placed in the oven. The door is sealed, often with bread dough. After about 40 minutes the oven is opened to check the bread is baked. Additional bakes need to have the oven fired up again as it loses heat gradually. 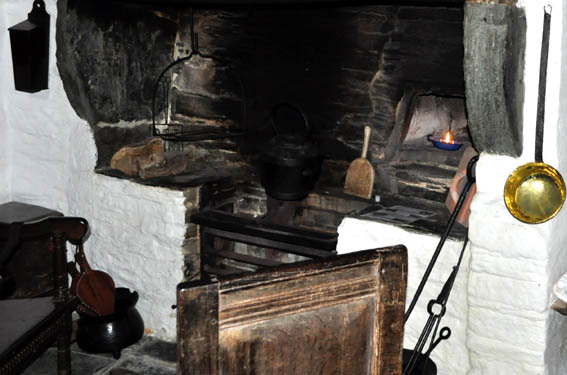 In the south west UK, Cloam (Clome) ovens were popular in the 17th Century. They were made of clay and fitted into the brickwork of the fireplace. Many of the local ovens were made at Bideford, Devon; Lakes Pottery, Truro and The Fishley Pottery, Fremlington. Some of these ovens are still in use today. They are usually fired using gorse or blackthorn faggots and take 20-30 minutes to heat up. 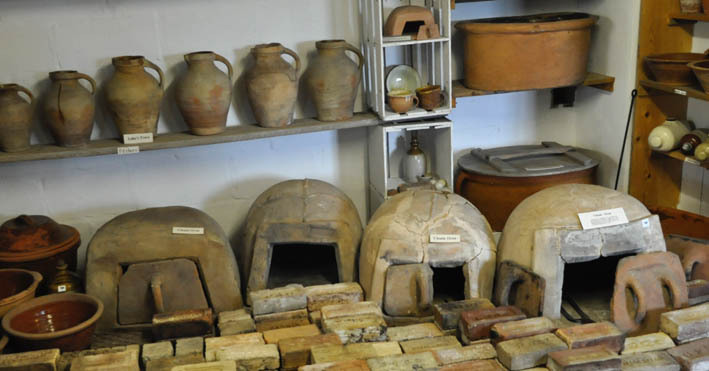 Most cloam ovens will bake four small loaves, so they are essentially a domestic oven. These ovens were exported to Wales, Ireland and the USA. 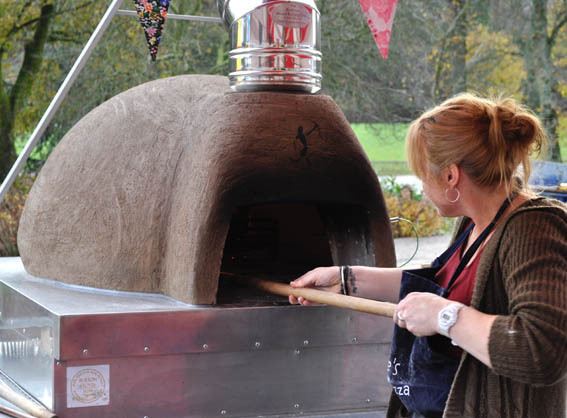 Today, brick or clay ovens are hand made to order. There are a few commercial offerings, but they are all custom built. Heating the pastry ovens at Haddon Hall, Derbyshire in Tudor Times.